So that was a long trip…leaving Brisbane 8.25pm Monday night Australian time (6.30 am NY time) and overnighting in the fleabag hotel in Sydney. Having breakfast in The Qantas club this morning did start the day off nicely though and erased all thought of the evening’s accommodations. 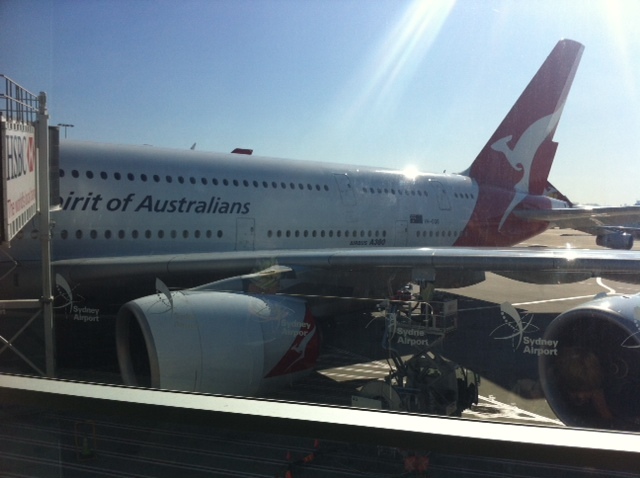 We boarded Tuesday morning in Sydney 10am bound for LAX. Our first time on an Airbus A380. They are huge, however there really isn’t any more comfort room. They’re just for moving more people. I don’t understand why airlines do that. We walked in our door at 8pm Tuesday night New York time (10am Wednesday oz time), 38 hours later. We’ve travelled back through several time zones and the kids thought this was pretty cool. We arrived home in time to watch the Back to the Future trilogy…..go figure! Several times I had to ask Grand Master D which city we were in 🙂 I just couldn’t work it out. All airports look the same. Miss Gremlin chose not to sleep on the 14 hour flight, so she was a bit tired and cranky through the immigration and customs process in LAX… But that was thwarted and we caught our connection without any delay. Actually in comparison to some of the adults, she did quite well. nothing was waking that child, not even the promise of food. She woke upon landing in New York 5 hours later. She’s quite excited to have stayed awake 21 hours straight. Funny the things that kids find fun. 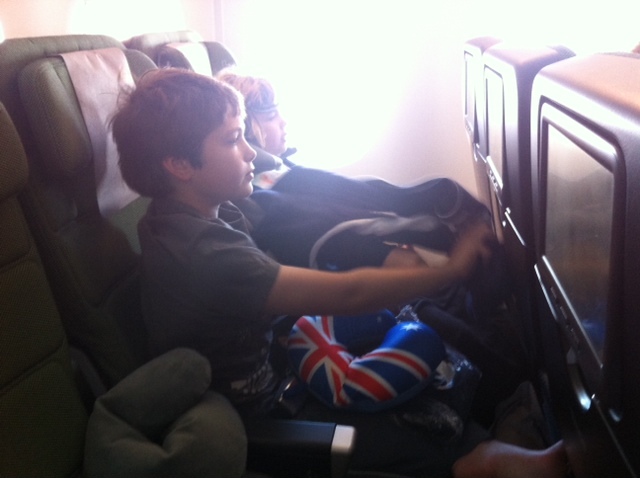 Grand Master D managed a few hours on the long flight and then he slept half the flight over to New York. He’s a great traveller, no problems there ever. Although he was a little snappy at Miss Gremlin in LAX and JFK but that was due to fatigue and her whinging. I had serious trouble keeping them awake on the hour and a half subway ride home. 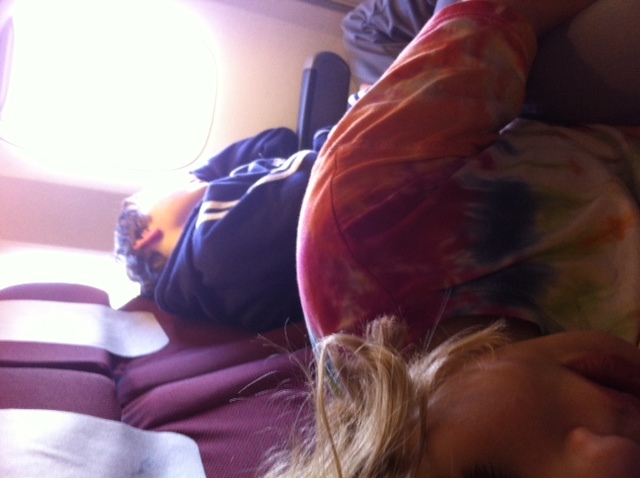 I knew if they fell asleep I wouldn’t be able to wake them so I had to keep them up. I hate being mean like that but it will also help with the jetlag adjustment.